Substance Abuse stories don't often have a happy ending but what ever the ending sharing them is helpful. A former teacher of mine is a psychotherapist, who always talked to us about getting to the "essence of self" when helping people tell those all important Substance Abuse stories. It is the essence of self that drives the person's perceptions and creates meaning in life. Your Substance Abuse stories are important. You are not alone and maybe there is someone who will benefit from you sharing your experience. We encourage you to gather your thoughts and share them with us. 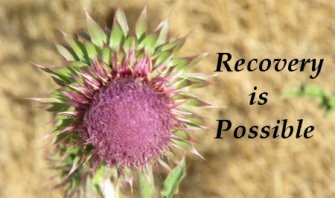 Here are a couple of Substance Abuse stories that describe the process of recovery. We’re hoping that you will share your stories with us as well so that others can learn from your experiences. Many people tell us that it helps them to read others drug addition stories because they understand what they've gone through a little better. Many times therapy sessions are simply a place where people come and share their Substance Abuse stories. You may find that sharing your Substance Abuse story anonymously is the first step toward dealing with addiction. Hi my name is Jayson and yes I am a grateful recovering addict. Here we go.. I was born at a early age in Watsonville CA. We were poor didn’t have much. Dad killed himself when I was 9. I was molested by the youth leader in my church a few months later. I had a tough childhood. I was first introduced to meth at the age of 13. My step dad at the time made me be his driver. Didn’t use at that time but always had it in my mind. I was one of the top athletes at my age, loved sports. Above average student in high school. My sophomore year I meet the girl of my dreams. Didn’t party or go out. I spent all my time with her. I excelled in all sports always had a job. "You see when I was younger I always said that I want to be a good dad, a dad that mine wasn’t, and that I'd have money". And I did. After I graduated I once again came across meth. I tried it, and I feel in love. At this time my same girlfriend informed me that we were having my first daughter. I was so strung out, in and outta jail. My disease had taken control of my life. I put my girl through so much stuff. Over the next 7 years we were blessed with 3 more kids. But that didn’t stop me. I had lost everything cars, houses, family, my wife countless times. Yes, after all I put her threw she still married me. She finally had had enough and left me. I had nothing. I was homeless at 26 lost all my top teeth. My life was unmanageable. I was powerless over my disease. I hadn’t seen my kids in 6 months. I hit rock bottom hard. I dropped to my knees and begged for someone or something to help. On July 1, I put the pipe down. I checked myself into the Salvation Army Rehabilitation Center. I then heard about the 12 Steps and found out that recovery was possible. People just like me have been recovering from drugs and alcohol for years and years. Finally, I had something to believe in, which has led me on a journey of recovery that has brought me a life of serenity and confidence. There was so much information to learn, and I became willing to do whatever necessary to stay clean and sober. After going to meetings and speaking with people in recovery, I found out that I would have to surrender my will over to a Power greater than myself. In meetings, I heard over and over to stay "Honest, Open-minded, and Willing". After the days had progressed in my early recovery, everything started to make sense. I told myself that I needed to apply the suggestions in my own recovery, and, by doing so, I would surely recover. I found the courage to surrender my will over to a Power greater than myself. After doing so, the journey of self-discovery, enlightenment, awareness, and spiritual growth commenced. I finally found the missing link that had been missing from my life - a God of my understanding. I was able to let go of my past, and forgive those who harmed me. From the moment I've accepted God into my life, I have been truly set free from a life of active addiction and alcoholism. My Higher Power, who I choose to call Jesus Christ, has given me the life that I had always dreamed of. I can truly say today that I live a life beyond my wildest dreams. Today, not only do I live a life that's free of drugs and alcohol, but I also live a life that's full of serenity, hope, faith, peace, and success. None of this would have been possible without turning my will over to a God of my understanding. After I surrendered to God, I continued to follow the suggestions of the 12 Step program. I started working the Steps, and going to meetings. I found out that I wasn't alone on this journey in recovery. Fellow addicts and alcoholics were right beside me with open arms and open hearts. I've discovered that the 12 Step program really does work. Daily, I put forth the courage to always strive forward. The personal growth and spiritual enlightenment that has resulted is phenomenal. I am amazed of the life I am able to live today, and how far I've come out of the depths of self-destruction. From working a good program of recovery, I no longer crave drugs or alcohol. I have been set free from a life of chaos and destruction. I am not perfect by no means. I don’t go to as many meetings as I should but when I need a meeting I am there. Today, I try to give back what has been so freely given to me. It is now my lifelong goal to spread the message of hope and strength that has saved my life. You too can recover, and live a life that you've always dreamed of. By following the suggestions of the program, we will stay clean and sober together. Honesty, open-mindedness, and willingness are the first steps to success. Surrender is the next crucial step that will lead us on a journey of self-discovery and enlightenment that will truly set us free. By having the courage to step forth in faith, we will be greatly rewarded with a life that's full of serenity and hope. No longer do we have to be bound by the deadly grips of addiction or alcoholism. These 12 steps, this program, all those I met along the way saved my life and showed me there was hope. Life is so much better on gods side. Today I am over a year clean and in control. I am still married to the love of my life. I am a great dad to my 3 girls and son. I am a living miracle and proof that there is hope. Finding a God of our understanding will enable us to fully enjoy the wonderful gifts of the program. I hope that everyone can live and enjoy a life that's free of drugs and alcohol. Good luck to all, and to all a good recovery. Your story is an inspiration to anyone out there who is struggling, who can’t find a way out of the hole and who truly wants to get his life back. You are living proof that God, through the 12 Step process, puts people back on the path to a clean and healthy lifestyle, with the blessings of a good woman and loving children. I am pleased for you, but more importantly, I am excited about the life you have in front of you. What is interesting, yet at the same time so profoundly sad, is how we can get so crazy, to the point of throwing everything away for getting high. We chase the high, but we can never catch it. It’s a meaningless, empty existence. You are one of the success stories, a person who came to the realization that his life was coming to an end. You came back. You are in a unique position to reach out and help others. The voice of experience is so very powerful, but sadly there will always be those who refuse to listen. They will look at you and scoff. They will make the same mistakes and suffer the same consequences, or worse. But do keep trying. God has given your life back to you, so rejoice in that and love your family every day. Every day is precious and you are blessed. Thanks for sharing your story. Wow you really touched my heart.Thank you so much 4 sharing.